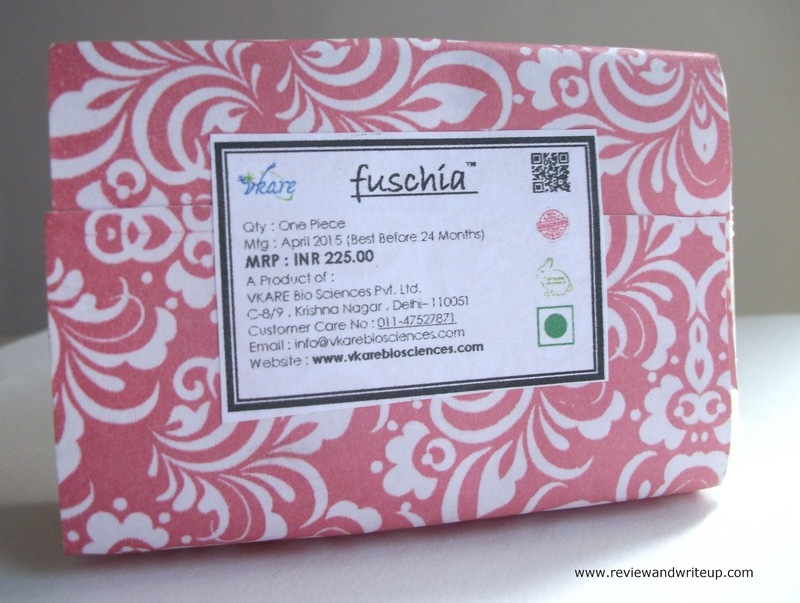 Remember few days back I reviewed Fuschia Cucumber Detox soap on R&W? 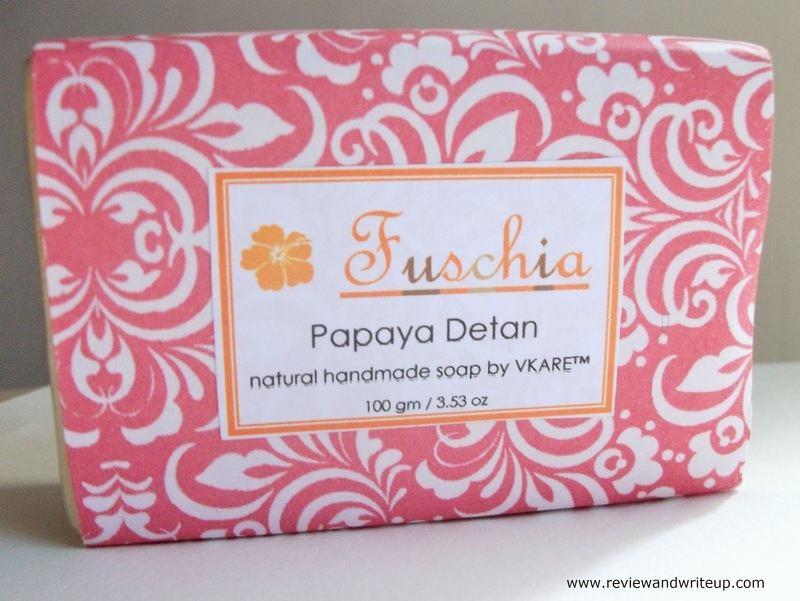 I am really happy with the brand Fuschia for their quality products so next product I got was their Papaya Detan Soap. For face I am using Inatur and I needed one for my body. Read on to know what was my experience with the soap. About the Product - Fuschia ranges in handmade skin care products which is a brand of Vkare Biosciences. Brand Fuschia offers so many different soap variants like no other brand. I haven't seen so many options in soaps being offered by any other, if you know any please let me know. 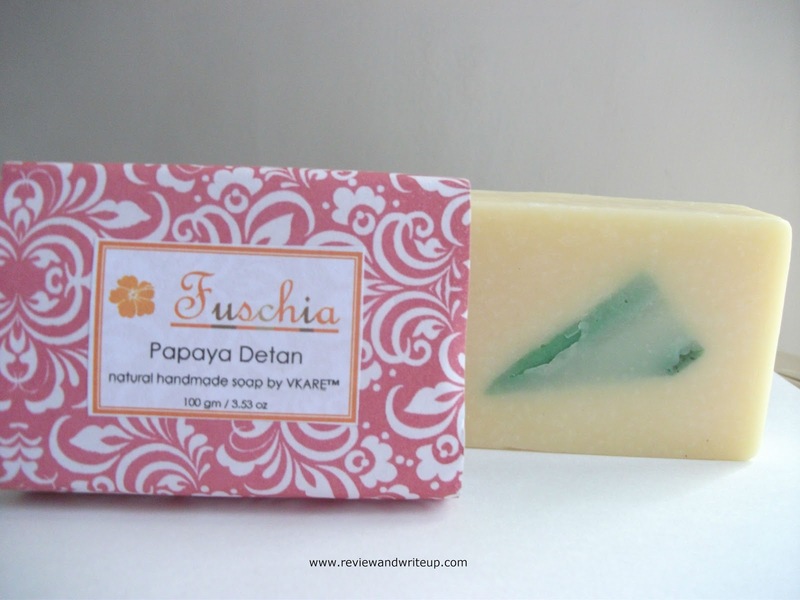 From their large variety I got Fuschia Papaya Detan Handmade Soap. Packaging - Packaging is similar to that of Cucumber Detox Soap in a beautiful reddish-pink paper wrap. The bar is covered with a cellophane sheet. My Experience With the Product - I was quite excited to try out detan soap. I have wheatish complextion that's why little tan makes me look dull. Other than face my rest of body also needs a good product which can wash away tan. I use Fuschia Detan soap with loofah as it lathers well that way, also bar lasts long. After scrubbing all over using loofah I wait for thirty seconds before splashing water to wash it away. After wash my skin looked visibly bright and clear. I didn't felt any need moisturize at all post bath. Soap fragrance is mild and you can smell papaya. As you know papaya is very effective in tan removal that's why Fuschia picked up best natural ingredient to design a soap just for us. Soap bar also resembles papaya fruit, like yellowish with green tint. I have been using this soap for a week and I can say that its certainly good in removing tan from body. After one wash only you will feel the difference. R&W Recommendation - If you suffer tanning issues like me in summer and are looking for effective product to help you, please try this soap. You will like it for sure. I would love to know if you have tried this soap?